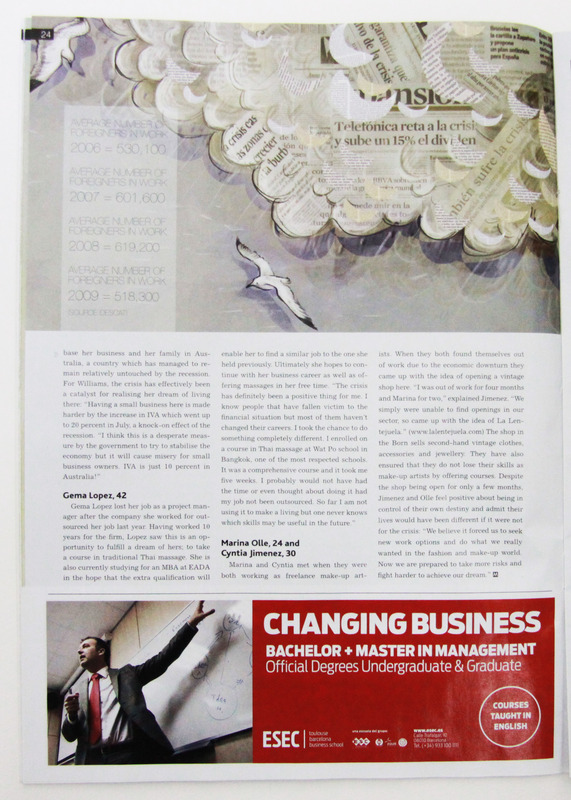 I believe I forgot to mention that my illustrations are in this months Barcelona Metropolitan’s October issue. Whoops. I know I mentioned it on Facebook, but it completely slipped my mind to document it here too. 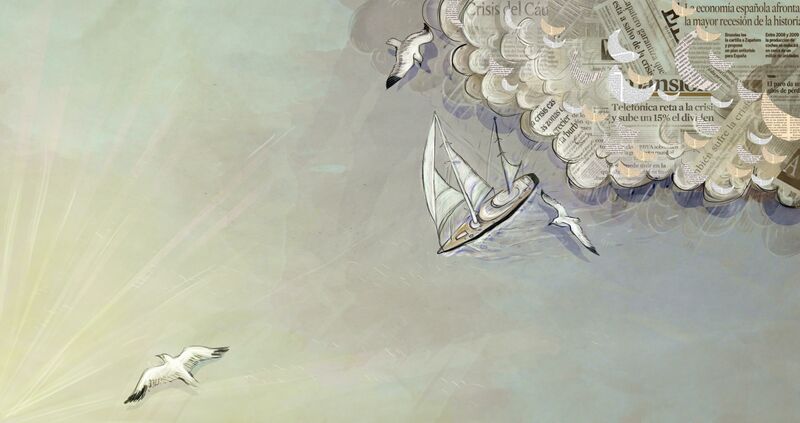 The article was a new take on the crisis: how the economic changes had benefited people. A positive impression of a rather gloomy subject. It’s good to know that there are still silver linings. I worked out all the rough ideas while I munched on steamed dumplings at Mosquito with Milos and drank imported beer. Scribbling on napkins in that atmosphere seemed to stimulate my imagination quite well, nothing like a tummy full of yummy dim sum! Later the art director of the Metropolitan and I picked out our favourite and the final is what you see gracing the pages of this months mag. We used a combination of collage and illustration. Of course I like the seagulls. Thanks to Dave for the commission. 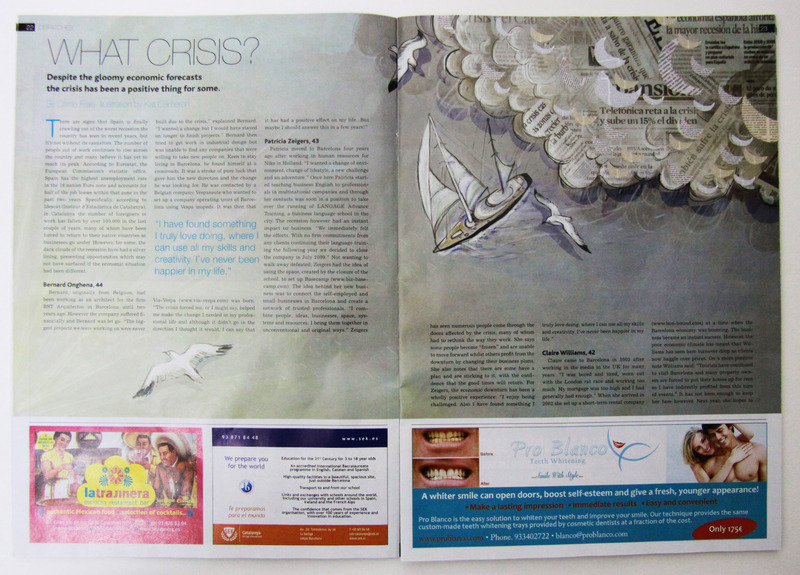 Everyone else, go grab your free copy of the Barcelona Metropolitan or read the article here by Carrie Frais. 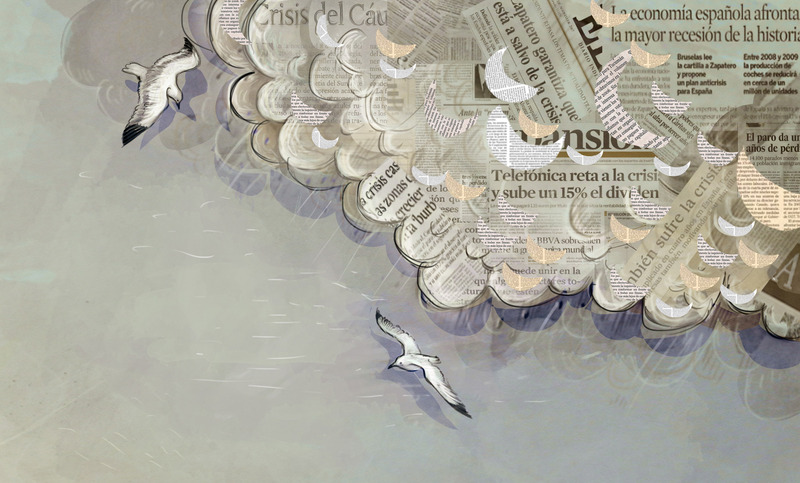 Tags: art, barcelona, barcelona metropolitan, boat, clouds, crisis, illustration, newspaper, ocean, silver lining, storm, waves. Bookmark the permalink.